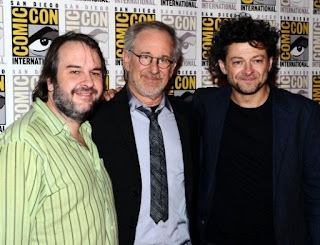 Entertainment Week reports : “Six thousand people packed into Comic-Con’s Hall H broke out in a simultaneous nerdgasm as Peter Jackson made a surprise appearance alongside Steven Spielberg at this morning’s panel for Dec. 23′s The Adventures of Tintin. Jed Brophy as Nori, Dean O' Gorman as Fili, Mark Hadlow as Dori, James Nesbitt as Bofur, Peter Hambleton as Gloin, Graham McTavish as Dwalin, Richard Armitage as Thorin Oakenshield (center), Ken Stott as Balin, John Callen as Oin, Stephen Hunter as Bombur, Willian Kircher as Bifur, Adam Brown as Ori and Aiden Turner as Kili . “Good news and bad news today. Bad news is that we won’t be doing any Hobbit presentation at Comic Con in San Diego this year. 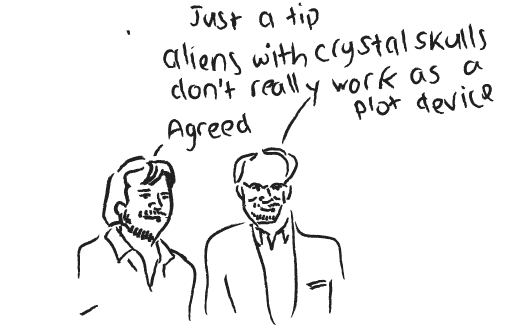 New Line and Warner Bros were very happy to support a presentation, but I declined, simply because I felt it was too early. There’s so much more of the films still to shoot. I just wanted to get that out there, because I’ve seen various references to the possibility of something Hobbity at Comic Con. Hate to disappoint anyone. But something tells me we will be there in force next year. 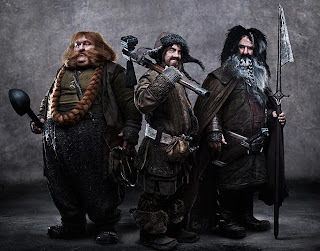 The pint-sized characters Bombur, Bofur and Bifur have been revealed by director Peter Jackson five months before the first film is released. They embark on an adventure with hobbit Bilbo Baggins to reclaim treasure from Smaug the dragon. The dwarves, played by Stephen Hunter, James Nesbitt and William Kircher respectively, have major roles in the fantasy story. Peter Jackson's upcoming film, The Hobbit: An Unexpected Journey, has been hotly anticipated by everyone from Tolkien obsessives to film buffs. The crew behind the movie, including Jackson himself, has kept fans salivating by documenting the movie's production through blog posts and videos. 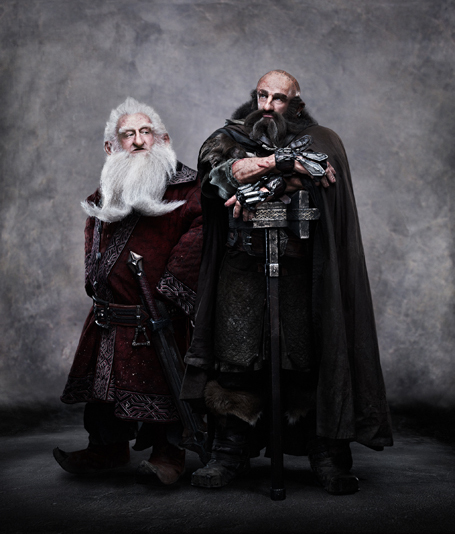 But TIME is the first to bring you this image of two characters from the film, dwarves named Balin and Dwalin. 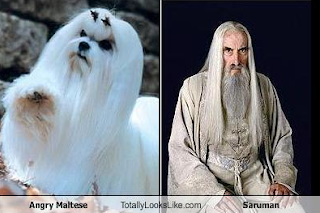 Below, find Warner Bros.' description of the two, and then click on for more images of The Hobbit's beloved dwarves. 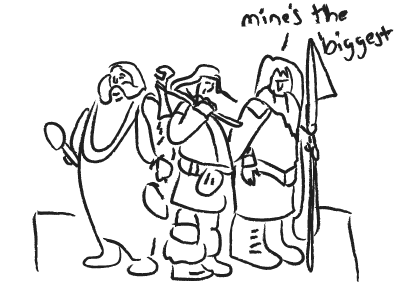 "Dwarf Lords in their own right, Balin and Dwalin are close relatives of Thorin. Beyond this, these brothers are two of his most loyal and trusted friends. An old warrior, Balin has lived through hard times and fought many battles, yet he harbors doubts about the wisdom of the Quest to retake the Lonely Mountain. Dwalin has no such forebodings – his belief in Thorin’s leadership is unshakeable. A powerful and bruising fighter, with a natural tendency to distrust anyone who is not a Dwarf, particularly anyone who might be an Elf, Dwalin is not someone to cross lightly." Sir Peter Jackson has provided another insight into the filming of The Hobbit, with a second production video diary posting on his Facebook page. The video diary was uploaded to Jackson's Facebook page this morning and has already been widely viewed, with some people saying it gave them the "chills", and many stating that the posting made them even more excited for the films' release. The 10-minute video follows Jackson and his team on their mission to find suitable filming locations - and it's much more complicated than one would think. A team of 17 travel the South Island in five helicopters in the search for ideal landscapes. 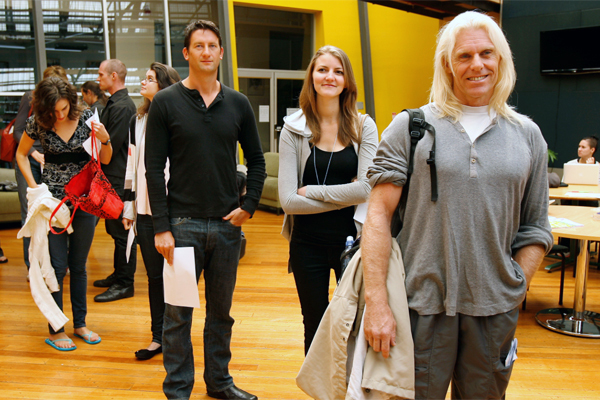 They had already identified areas in the Mackenzie Country and Mt Cook and decided that they would also film in Dunedin for the first time. They were also looking to find a suitable location south of Queenstown.The locations had to be appropriate for filming - but they also had to have enough space for two rugby fields of equipment. "It's weird on locations because you're standing in the middle of a mountain or valley or some beautiful place and you're having to try to figure out where are you going to put the crew tents, where are people going to get changed and where are the portaloos going to go - because all of that stuff has to be where you're not going to want to point the camera," Jackson says. "The last thing you want to find out in six months time is you're standing on this beautiful mountain and saying 'Wow this is exactly the shot I want to do' and you've got 20 portaloos in front of the camera." The video also features footage of Jackson talking to actor Andy Serkis, who played Gollum in The Lord of the Rings film trilogy. Serkis is directing part of The Hobbit films and chats with Jackson about the pressure they are under. "I always tell people I get exhausted at the end of the first couple of days and just stay exhausted until it finishes," Jackson tells Serkis. "I think it's a much better way to divide it into three blocks and have some time to look at what you've done... it's a much smarter way to shoot these big films." There were 254 days of shooting planned and the crew has already finished filming the first block. Filming of the second block would start on September 5. Many of the staff are taking off overseas and indulging in their favourite hobbies during the break. Sir Ian McKellen who plays Gandalf was heading to London to perform in a stage production, others were travelling to Bali, Las Vegas and Paris for a holiday, one was planning a marathon, another was looking forward to sleeping in and one staff member said he planed to make a psychedelic sludge-rock album. But for Jackson, the work continues. "It almost feels like you're going on vacation," he says. "But you're not." It is enough to make any JRR Tolkien fan go giddy with delight. 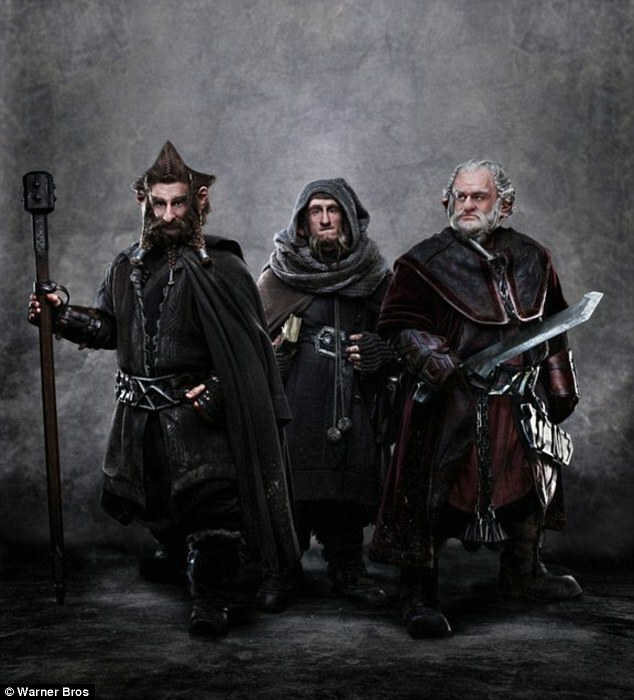 The latest teaser picture for the forthcoming adaptation of the Hobbit has been released, showing a trio of hardy warrior dwarves. The exciting image shows the brothers Dori, Nori and Ori, and was posted on the movie's official Facebook page. Little surprise: The newly image of Hobbit dwarves Nori, Ori and Dori had the internet buzzing today. The description of the picture said: 'These three brothers, all sons of the same mother, could not be more different from each other. 'Dori, the oldest, spends much of his time watching out for Ori, the youngest; making sure he’s not caught a chill or got himself killed by Wargs or Goblins. 'Nobody quite knows what Nori gets up to most of the time, except that it’s guaranteed to be dodgy and quite probably, illegal. 'Dori, Nori and Ori are intensely loyal to each other – and whilst they are perfectly happy fighting amongst themselves,' New Zealand natives Jed Brophy and Mark Hadlow play Nori and Dori, while Adam Brown, who is best known for appearing in kids show Chucklevision plays Ori. Facebook fans were delighted with the new image, with comments including 'awesome,' 'perfection,' and 'I can''t wait.' The revelation follows the release of the first stills of The Office star Martin Freeman as the story's hero Bilbo Baggins. 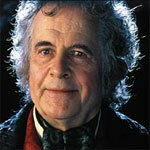 First look: Here we see Martin Freeman take on the role of Bilbo Baggins. The drip-drop release of pictures is ramping up the anticipation ahead of the release of The Hobbit: An Unexpected Journey at the end of this year. The film follows home-loving hobbit Bilbo, who is guided by the wizard Gandalf and a company of 13 dwarves on a dangerous adventure that sees him become an unlikely hero. English acting legend Sir Ian McKellen is reprising the iconic role of Gandalf, and has been seen in his full wizard regalia and flowing grey beard. Like the Oscar-winning Lord of the Rings trilogy, The Hobbit is filmed in New Zealand under the expert eye of director Peter Jackson. The title role of the J.R.R. Tolkien tale is played by Martin Freeman, who has previously starred in Hot Fuzz, Love Actually and the original British version of The Office. The unlikely hero is visited by Gandalf the Grey who tricks him into hosting a party for Thorin and his band of 12 dwarves, who sing of reclaiming Lonely Mountain and their treasure from the dragon, Smaug. 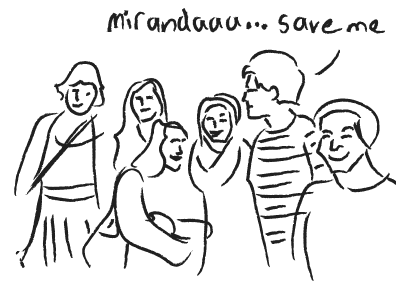 Bilbo is persuaded to join them on their quest as the expedition's burglar when Gandalf unveils a map showing a secret door into the mountain. 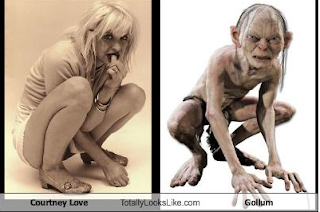 Many characters will return from Lord of the Rings including Gollum, Frodo, Elrond, Galadriel, and Legolas. 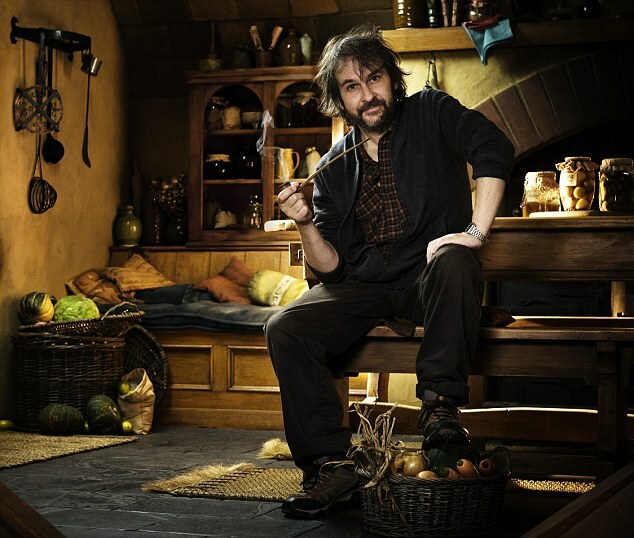 Hobbit hole: Director Peter Jackson walks through Bilbo Baggins' home, Bag End, on the New Zealand set. Tolkien's first foray into Middle Earth has been split into two films, The Hobbit: An Unexpected Journey and The Hobbit: There and Back Again, and the cast and crew endured a mammoth 254 day shoot to recreate the thousand-plus pages. Jackson said: 'You just get in that state of tiredness and stay there, but that's OK. The movie keeps you going. 'We're working with much of the same crew as Lord of the Rings and obviously some of the actors like Ian McKellen, Cate Blanchett, Hugo Weaving, and Andy Serkis are back so it's like a reunion. 'Plus we've got all the new boys. 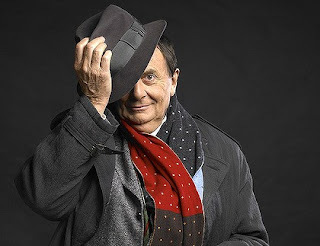 'Along with Freeman, new stars include Barry Humphries, a.k.a. 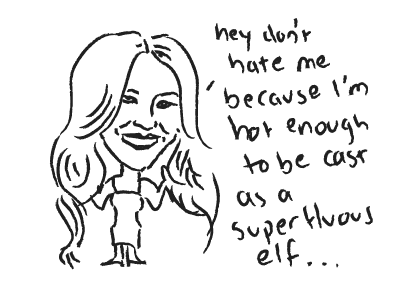 Dame Edna as the Goblin King, and Evangeline Lilly as beautiful elf Tauriel. The hobbit blog releases titles and dates! New Line Cinema, Warner Bros. Pictures and MGM have announced the titles and release dates for filmmaker Peter Jackson’s two-film adaptation of J.R.R. Tolkien’s enduringly popular masterpiece THE HOBBIT. 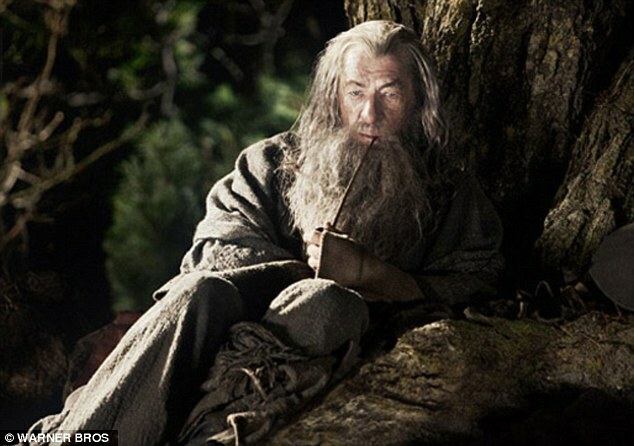 The first film, titled “The Hobbit: An Unexpected Journey,” will be released on December 14, 2012. The second film, titled “The Hobbit: There and Back Again,” is slated for release the following year, on December 13, 2013. 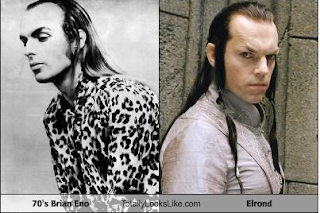 Both films are set in Middle-earth 60 years before Tolkien’s THE LORD OF THE RINGS, which Jackson and his filmmaking team brought to the big screen in the blockbuster trilogy that culminated with the Oscar-winning “The Lord of the Rings: The Return of the King.” The adventure of THE HOBBIT follows the journey of title character Bilbo Baggins, who is swept into an epic quest to reclaim the lost Dwarf Kingdom of Erebor from the fearsome dragon Smaug. The Age reports Barry joins cast! Australian actor, comedian and satirist Barry Humphries is set to join the cast of The Hobbit, which is filming in New Zealand. Director Peter Jackson announced on Facebook that Humphries will play the role of the Goblin King. ‘‘Barry is perhaps best known for his business and social connections as the long-time manager of Dame Edna Everage. He has also been an ardent supporter of the rather misunderstood and unfairly maligned Australian politician, Sir Les Patterson,’’ Jackson said referring to Humphries’ alter egos Dame Edna Everage, a Melbourne housewife and Sir Les Patterson, a politically incorrect cultural attache. ‘‘However, in his spare time, Barry is also a fine actor, and we’re looking forward to seeing him invest the Goblin King with the delicate sensitivity and emotional depth this character deserves,’’ Jackson wrote. Also joining the cast of The Hobbit is Evangeline Lilly who will be playing the new character, the Woodland Elf, Tauriel. Another recent signing is British comedian Stephen Fry who will play The Master of Laketown. 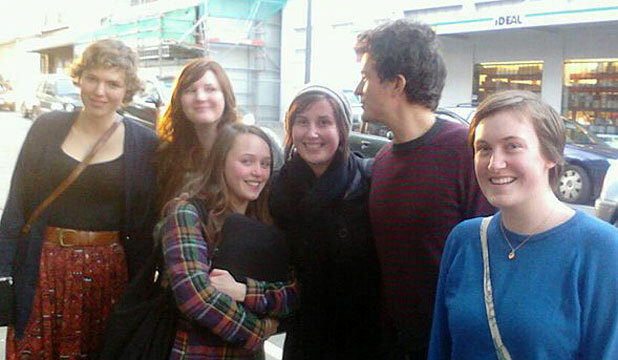 With the first round of shooting over, The Hobbit has started scouting locations for the second block of shooting for which Humphries and Lilly will be joining the cast. The $US500 million ($A474 million) Hobbit movies, a two-part prequel to blockbuster The Lord of the Rings trilogy, began filming in New Zealand in March. Australian actress Cate Blanchett will return as Galadriel, Ian McKellen as Gandalf, Orlando Bloom as Legolas, Christopher Lee as Saruman, Elijah Wood as Frodo and Andy Serkis as Gollum. The Age reports Orlando is back! 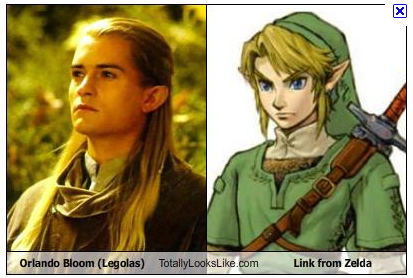 Orlando Bloom will reprise his role as elf Legolas in the new Hobbit film.Director Peter Jackson announced the casting decision via Facebook late last week. He also revealed that Stephen Fry would be joining the cast as The Master of Laketown, a character he described as a "conniving civil servant". "I'm thrilled to be working with Orlando again," Jackson wrote. 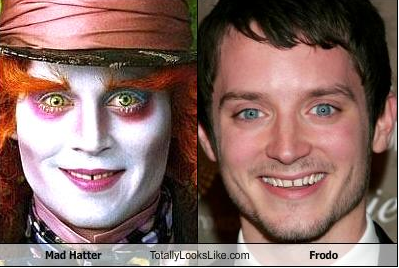 British actor Bloom, who is married to Australian model Miranda Kerr, shot to stardom on the back of his performance in the Lord of the Rings trilogy. "Funny thing is, I look older—and he doesn't! I guess that's why he makes such a wonderful elf. 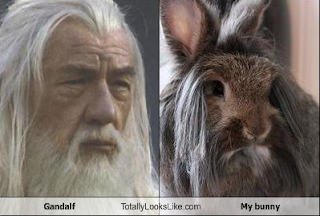 "His return to Middle Earth has excited fans with almost 14,000 people opting to 'like' the announcement on Facebook. "Eeek that's so great! And it doesn't matter that he wasn't in the book, the fact that his father is in it you can assume Legolas would be right with him," wrote one fan.He is not the only cast member from the highly successful films to be reprising their roles. 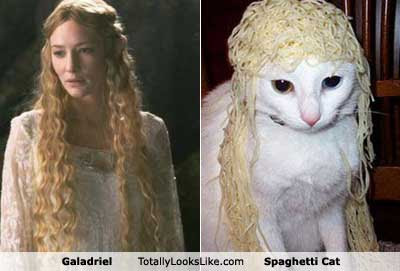 Cate Blanchett will return as Galadriel, Sir Ian McKellan as Gandalf, Andy Serkis as Gollum, Elijah Wood as Frodo and Hugo Weaving as Elrond.The lead role of Bilbo Baggins will be played by Martin Freeman.Jackson has been using his Facebook wall to update fans on the progress of the highly anticipated film version of J.R.R. Tolkien's fantasy novel. It is set 60 years before The Lord of the Rings, and follows Baggins and a group of 13 dwarves on a quest to reclaim the lost Dwarf Kingdom of Erebor.The project has been in the works for more than a decade, delayed by legal issues and a union dispute. 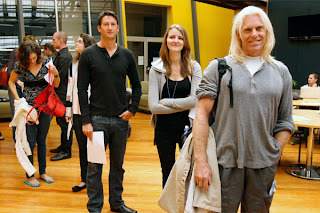 Filming commenced in Wellington, New Zealand, in March. The Hobbit will be shot in digital 3D and told in two films. The first film, The Hobbit: An Unexpected Journey, will be released on December 14, 2012. The second film is expected to be released in December the following year.Another of Jackson's films, an adaptation of the Tintin books, is almost completed. 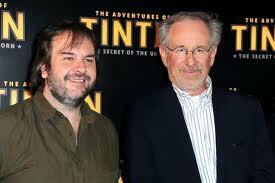 For the past five years he has been working on the project with Steven Spielberg and Kathleen Kennedy.